William Ann Lestevenon, with his inscription on the mount. 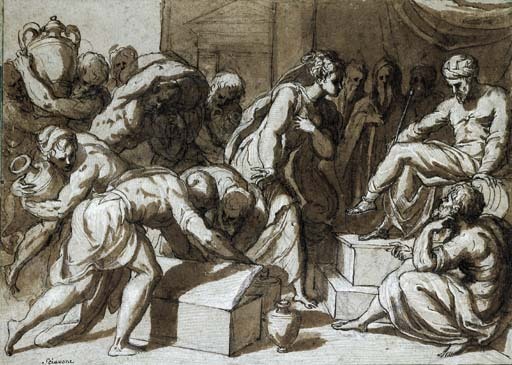 Similar in size and technique to Samson taken Prisoner, a drawing in the British Museum, D. McTavish, Giuseppe Porta, called Giuseppe Salviati, London, 1981, no. 13, fig. 152. We are grateful to Béatrice de Moustier for identifying Lestevenon's handwriting. This sheet measures 205 x 280 mm. Please note that this drawing is sold unframed.